If you own a Volkswagen or an Audi, you bought it because Germany builds good, reliable cars that are known for excellence in engineering. Volkswagen makes cars for people who appreciate a fun, practical car and a reasonable price; Audi is a subsidiary of Volkswagen, and it has a reputation for building luxury cars with powerful engines. People who own a Volkswagen or an Audi are often passionate about their choice. So are we. But even the best car eventually needs work to keep it running reliably. And when that happens, you really want just one thing from an auto repair shop: a great mechanic who shares your passion for your car. We have more than 30 years of experience working on Volkswagen and Audi cars. We know these engines and we appreciate them. No one enjoys sitting and waiting while repairs are being made. To make things easier for you, we offer free loaner cars and shuttle service for your convenience. Our highly trained mechanics use specialized equipment to repair your car. At Angel’s Garage, we keep up with changes in technology and the tools necessary to repair today’s VW and Audi. We have the scanners and computers to test pretty much anything. Training and experience can also make a difference, and at Angel’s Garage we are not afraid to say that we have more experience that the average dealership technician. We have been in business for 12 years and are regarded as specialists in Volkswagen, Audi repairs. 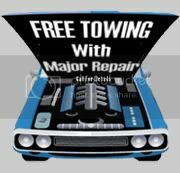 As a well established car repair center you can count on us top quality garage repair services. Looking for Audi and Volkswagen repairs in DFW area then look no further we are specialists in the repair of these vehicle brands.